Nathan Gulicks udstilling Waiting Room sammensætter intimiteter fra to forskellige rum – venteværelset og det opbevaringsrum som befandt sig i kælderen af Gulicks barndomshjem i den Amerikanske Midtvest. Med Waiting Room ønsker Gulick at forholde sig til historiens, fotografiet og objekternes præserverende mekanismer, og søger derved at afdække de strategier, som anvendes i rum hvor møder mellem mennesker finder sted. I venteværelsets limbo, hvor man samles side om side med fremmede, der venter på en diagnose eller information omkring deres indre liv – et intimt rum, dog offentligt, hvor en bred vifte af ellers usynlige fortællinger synliggøres. I kontrast til det, finder man opbevaringsrummet, der indeholder mange års efterladte personlig minder. Her møder man en anden mental- og rumlig oplevelse – et lukket rum, som ikke bliver vist til gæster, fyldt op med beviser fra et levet liv. Hvert af disse rum gemmer på en samling af ufortalte historier: Hvad deler vi med disse objekter, der er gennemsyret af vores personlige historier? Er hvert objekt lige så stum som en gruppe fremmede? Måske røber objekternes patina deres alder og tiden som er passeret, eller måske er det rynkerne i huden eller det tøj vi bærer? Måske er referencerne tabt – forsvundne og misforståede i vores personlige fortælling eller kulturens specificitet. Disse og andre spørgsmål udforsker og bearbejder Gulick yderligere i Waiting Room. Nathan Gulick (født 1980, Ann Arbor, Michigan) bor og arbejder i Los Angeles, Californien. Han modtog sin BFA fra School of Visual Arts i New York og modtog sin MFA fra Otis College of Art and Design i 2018, hvor han også fik tildelt Otis Academic Excellence Award. Han har udstillet hos Mandujano / Cell og FAR Bazaar – Foundation Art Resources i Los Angles, og ICE Gallery i San Diego, Californien. I slutningen af 2018 deltog han i gruppeudstillingen CTRL + Z på Roger’s Office i Los Angeles, Han udstillede i marts 2019 som en del af Other Places Art Fair i San Pedro, Californien. c4 projects har udarbejdet et nyt to-årigt program: Intimitetsprogrammet 2019/2020. Med fjorten udstillinger ønsker c4 projects at styrke sin profil med et ambitiøst og mere internationalt orienteret program. Intimitetsprogrammet vil undersøge det mentalt intime og kropsligt udfordrende, det private, troens rum og seksualitet, og vil igennem fordybelsen i emnet intimiteter behandle og nuancere eksistensvilkår i vores samtid. Foråret 2019 vil byde på udstillinger, der udforsker den opfattelse og det nærvær, som c4 projects’ interiør indbyder til. Intimitetsprogrammet 2019/2020 er støttet af Statens Kunstfond, Københavns Kommunes Billedkunstudvalg, Det Obelske Familiefond og Beckett Fonden. Nathan Gulick vil i forbindelse med udstillingen afholde en artist talk hvor han fortæller om sin praksis, udstillingen og om hvordan det er at arbejde som kunstner i Los Angeles. Opening: Friday 19th April 5-8 pm. Artist Talk: Thursday 25th April 4-6 pm. Opening hours: Thursday, Friday, and Saturday 2-5 pm. 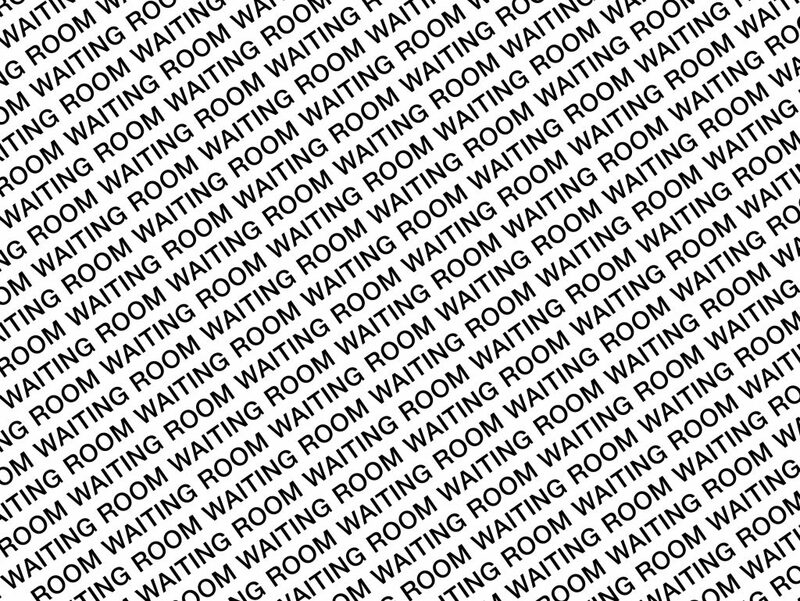 Nathan Gulick’s exhibition Waiting Room conflates the disparate intimacies of two kinds of spaces – the professional waiting room and a storage area in the basement of Gulick’s childhood home in the Midwest of America. With Waiting Room, Gulick wishes to reason with the vehicles in which we preserve our stories, and imbue objects, photographs, and other personal signifiers with importance. Further, he seeks to make apparent the strategies at play in the everyday spaces in which we may encounter others with stories of their own. In a waiting room, one might find themselves in limbo with a group of strangers awaiting a diagnosis or information relating to one’s interior self – an intimate yet public space, where the signifiers of a broadly generic kind of design are employed. On the other hand, in the personal space of a storage room that for many years collected abandoned personal detritus and memories, one encounters a different psychological and spatial experience – a private room, not shown to guests, filled with photographic evidence of a life once lived. Each of these spaces gathers a collection of stories unknown: What do we share with these objects imbued with a personal history? Is each object as mute as a group of intimate strangers? Maybe it is the perceived patina and age to the photograph – or the wrinkling of the skin, the clothes we wear – that signals time past. Or are these cues lost hopelessly – disappearing and misunderstood in personal biography, and cultural specificity? In Waiting Room, Gulick will seek to explore and problematize these connections and relationships further. Nathan Gulick (born 1980, Ann Arbor, Michigan) lives and works in Los Angeles, California. He received his BFA from School of Visual Arts in New York, and graduated with a MFA from Otis College of Art and Design in 2018 where he was awarded the Otis Academic Excellence Award. He has exhibited at Mandujano/Cell and FAR Bazaar – Foundation Art Resources in Los Angles, and ICE Gallery in San Diego, California. In late 2018 he participated in the group exhibition CTRL+Z at Roger’s Office in Los Angeles, and in March of 2019 exhibited as part of the Other Places Art Fair in San Pedro, California. c4 projects has developed a new 2-year-program: The Intimacy Program 2019/2020. With fourteen exhibitions c4 projects wish to strengthen its profile with an ambitious and international program. The Intimacy program wants to explore the mental intimacy and the bodily provocative, the private sphere, beliefs, and sexuality and though an immersion into the different aspects of intimacy to discuss and nuance living conditions in present-day society. Spring 2019 will offer exhibitions that explore the perception and closeness that c4 projects’ interior creates. The Intimacy Program 2019/2020 is supported by the Danish Arts Foundation, The Copenhagen Municipality’s Council of Visual Arts, The Obelske Family Foundation and The Beckett Foundation. Nathan Gulick will in connection with the exhibition give an Artist Talk where he will tell about his practice, the exhibition, and share how it is to work as an artist in Los Angeles.